Chips Ahoy! My name is Cookie because I am so sweet and delicious! At 4 months old I am ready to start my life’s adventure in a forever home. I love other kitties and would do great in a home with kitty siblings. 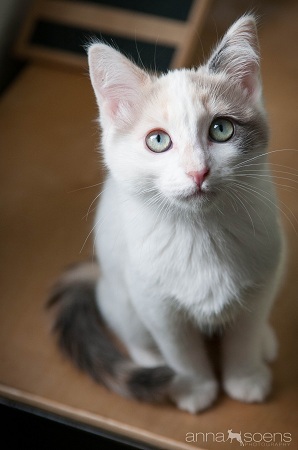 I am energetic and playful just like a kitten should be. With me around you’ll never be bored! So what do you say? Have room for little lady like? Then come check me out at the Pixie Project cattery where I currently live. I am fixed, vaccinated and microchipped. My adoption fee is $135.